Established in 2006, Shanghai Kingwing General Aviation Co., the exclusive supplier of Emergency Medical Service (EMS) during the 13th National Games of China, has obtained its Class-A qualification from the Civil Aviation Administration of China (CAAC). 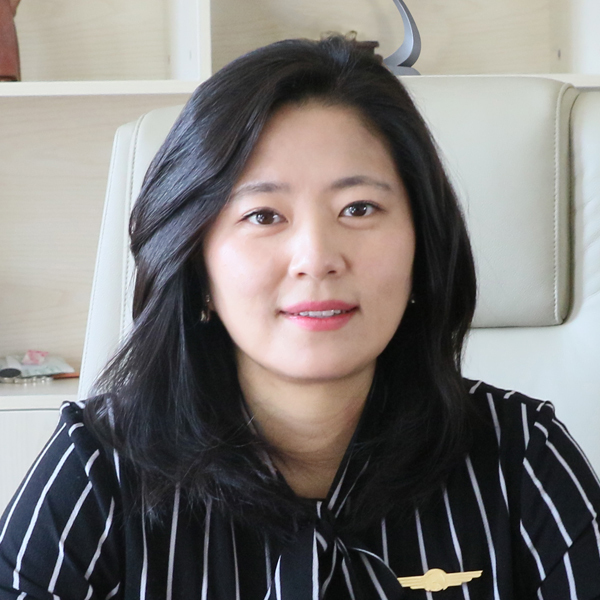 Capitalizing on its abundant operational experience, professional management team and powerful flight base network, Kingwing has developed into a leader of general aviation in China and a pioneer in EMS. It now offers a comprehensive service including EMS, helicopter transaction support and leasing, together with helicopter maintenance and management. tell me about Kingwing and the services it offers. It has been 11 years since the establishment of Kingwing, during which our efforts have focused on the upstream and downstream service of helicopter management, from helicopter aerial photography to helicopter pilot training, helicopter management and transactional support. We have established many general aviation businesses, which have made their way into mass consumption. In early 2016, Helicopter Air Ambulance (HAA), a dedicated emergency medical service (EMS) project, was launched by Kingwing. Now, this service accounts for 90% of our entire business. With China’s push for EMS operations, what is Kingwing doing to continue growing this segment? We started to develop our air ambulance network in 2016 and have continuously boosted the growth of the HAA project. Our efforts have paid off since we have received good response in the industry and caught the attention of the Chinese government. This project, launched to explore a new way for general aviation in China and a new mode of making profit sustainably, is of great social significance since it will help save lives. With increasing favorable policies implemented for EMS, we decided to answer the nation’s call with our action and make an all-out effort to promote the HAA project. Currently, we offer air rescue services in 22 provinces and cities in China with 27 flight bases, and will head for establishing a national service network (excluding Qinghai, Tibet and Xinjiang provinces) and providing strengthened services in certain provinces in the meantime. Kingwing Aviation has an impressive plan of operating 80 helicopters by 2018. How will this be achieved? A lot of preparation work is needed to operate the HAA project, such as seeking support from the local government, medical institutions and the local police department, as well as insurance firms, and our business partners. We will introduce 80 helicopters through buying and leasing with a proportion of one-to-one. The challenge with this lies in the recruitment and cultivation of top talent recruitment. Safety is the priority and we would like to directly manage our fleet with reliable talent, complete with uniform safety standards to ensure the quality service. With the company’s expansion, which cities will be targeted as priority for operation? When launching 80 helicopters in the market, we plan to put at least three to five helicopters in each province to strengthen our service and enhance the rescue ability so our fleet can rapidly respond within a 150-kilometer radius. Air rescue, in terms of actual demand, is more needed in areas where ground transportation is limited by geographic settings. With the green channel supported by military and civil aviation, helicopters can take off within half an hour and air rescue, as an effective supplement of ground emergency treatment would be more efficient than ground transportation. Does Kingwing have access to sufficient infrastructure to operate such a large fleet? There is not enough infrastructure we can rely on for air rescue right now. Still, it has been only one year since the launch of the HAA project, many regional hospitals are now motivated to build helipads or even hangars for standby. In spite of the infrastructure deficiency, we believe that infrastructure for helicopter will be greatly enhanced along with the development of the project. What is the level of coordination between Kingwing and those who support EMS? The government established a liaison mechanism with us after examining and recognizing our qualification and operation performance. We are informed by authorities and then send helicopters when air rescue is needed. Our mission is fulfilled with the help of the police, who clean and maintain order at the site to ensure the successful landing, and the medical team who offer medical support on the helicopter. What are the challenges of operating helicopters in China? The talent cultivation is the main issue. Given the lack of human resources, it’s difficult for us to further accelerate our development even though we have a sizable fleet. The pilot and crew are not built in a day, and much time and efforts need to be invested. Also, the increasing development of civil aviation which, compared with general aviation, offers better salary and enjoys more attention from the government, results in the shortage of talent resource in general aviation. But one thing is for sure, the HAA project could inspire the overall growth of helicopter management, for example, we may engage some promising young people in our contracted training plan to enrich our talent resource. For young people, this is a new and meaningful career opportunity. Infrastructure is another concern. As I mentioned before, the current infrastructure in China is far from satisfactory, but I believe this problem will be solved, as the project is jointly conducted with the government who help provide more slots for take off and landing. We, step by step, win the trust and support from the public and the government through our effort, and thus boost the simplification of approvals for EMS from military and civil aviation and the introduction of favorable policies, as well. What are some of Kingwing Aviation’s recent successes? The rescue can be divided into Level 1 and Level 2, which means pre-hospital first aid and transfer, respectively. In the first case, the injured are sent to a hospital directly from the scene of the accident while in the latter case, the patient would be transferred to another hospital to get better treatment. Here is an example of pre-hospital first aid: several months ago, a private car seriously collided with a truck on an expressway in the mountainous area of Yichang, Hubei Province. Our helicopter, on standby, took off upon 10 minutes of being informed, and only took another 10 minutes to send the injured to a hospital, while ambulance required 40 minutes to arrive the site. This mission has been reported in CCTV news as the first case of air rescue in mountainous area of China. Also, with support of Extracorporeal Membrane Oxygenation (ECMO), we have successfully transferred a patient suffering from a heart shock from Shenzhen to Guangzhou within 30 minutes. We made it even though strict requirements such as stable power supply were set to ensure the function of the extracorporeal circulation equipment. Meanwhile, we offer medical insurance for large-scale sports games including marathons and try our best to save lives effectively and efficiently in various tasks. Kingwing has established a network for air rescue covering the whole country and fulfilled many air rescue tasks through a joint effort with first aid centers and hospitals. Flying for hope and life, Kingwing has devoted itself to the general application of helicopters and hopes to provide safe and efficient service for its clients, as well as making its own contribution towards China’s general aviation industry.